Did you know that there’s actually key elements to make your B2B website a successful one? I’m not talking about the latest website design trends. That is just one part of the equation. 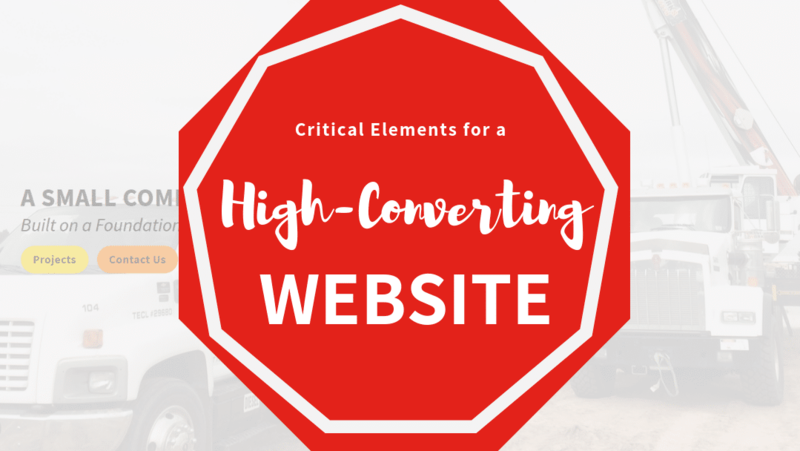 Making your site a high-conversion website is something else! 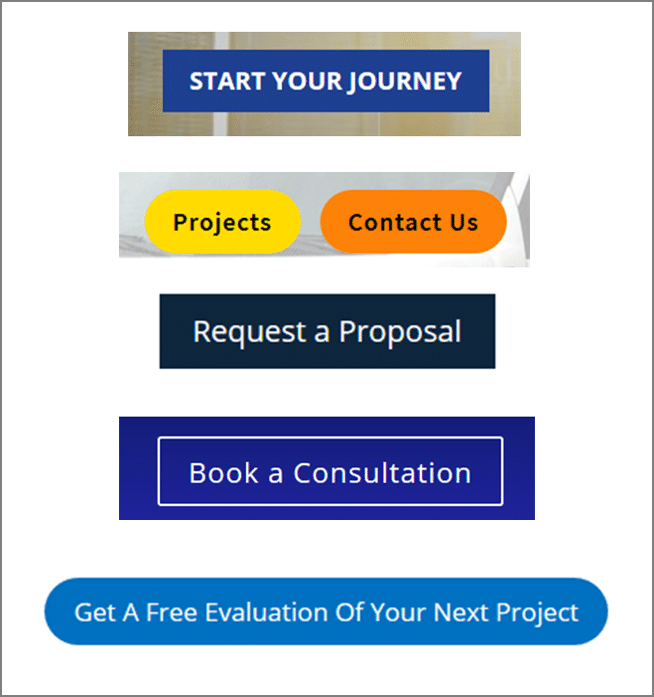 So, how do you know what to do or where to start to make your website successful? In this blog you will find 6 critical elements that, in my experience, will make or break your site. ☑️ You are periodically checking your site’s analytics. One of the most important elements is the amount of traffic you’re getting from new visitors and the number of leads generated. This is the beginning to understand what changes you need to make to optimize your site. ☑️ You have at least 30 pages in your website. And no, I’m not talking about 30s is the new 20s. This is the minimum number of pages you need to make your site relevant. The more landing pages you have, the more online leads you are likely to generate from your website. Secret: Google site:yourwebsite.com to see how many URLs Google finds from your website. ☑️ Your website is indexed in Google Search Console. ☑️ You know and understand your audience persona. You have less than 10 seconds to make your visitors stay with a compelling headline. Knowing your audience is critical to make this a reality. Download this free template to build your audience persona and start optimizing your site’s content. Sounds obvious, but I see this mistake over and over again when I’m redesigning websites for my clients. Ask yourself, if you go to your home page right now, do you know why you should do business with you? If your visitors are not able to tell exactly what they are going to get, why would they get in touch with you? Call-to-action (CTA) is the life-blood to any business. Hands down. Knowing your audience is extremely important to have the right CTAs. Don’t you wish it would be as simple as the example above? Unfortunately, for B2B companies, that’s not always the case. I need a truck for Today / Tomorrow / Monday! Successful websites are constantly testing their CTAs. A/B testing is extremely helpful to accomplish this. Make a habit of always testing your CTAs for better sales and lead generation. Look at your target market and your numbers. If they aren’t what you expected or need, then you need to change it up. Providing product or service case studies is an essential ingredient to success. Good solid case study content along with a display of current work portfolio instills confidence about you with your potential customers. Customers want to know you are a good fit for them. Seeing your track record is a solid proof you have experience in their field. About: This serves as an introduction of the person or company and can be pulled from their LinkedIn profile or website. If you can’t provide their company information, then industry and general information like number of employees and type of service will work. 1-2 paragraphs summary. 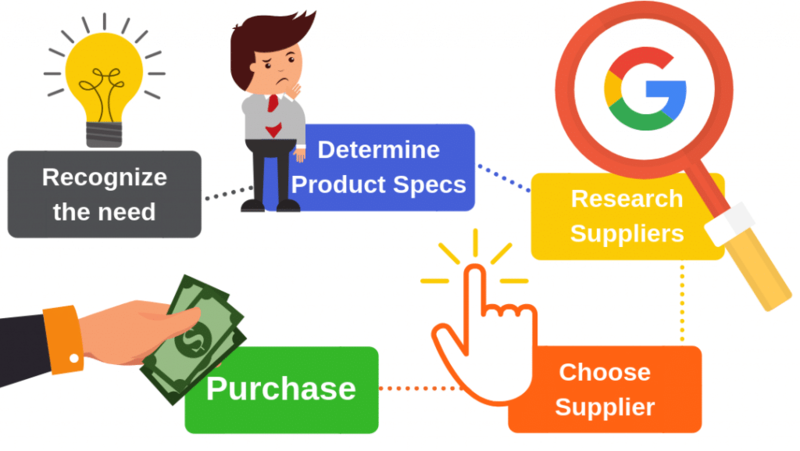 Challenges: This section should include 2-3 paragraphs describing the customer’s challenges prior to using your product or service, as well as the goals that they set out to achieve. How You Helped: This section should include 2-3 paragraphs that focus on describing how your product or service provided a solution to their problem. Their Results: This section should include 2-3 paragraphs that prove how your product or service specifically impacted the person or company and helped them achieve their goals. Include numbers to quantify your contributions or testimonials. Providing relevant content that gets past the fluff and directly connects with your customers is essential. Everything from your home page to your contact page must include content that drives and keeps them engaged. Plus, relevant content adds credibility to you and your business by showing that you know what you are talking about. Let’s have a look at some techniques to help you write compelling content. 1 Big Bold Statement must equal your Unique Value Proposition. Simple & Short Sentences. After all, do you ever read big chunks of text? Exactly! Show examples, facts, or testimonials. Anything to build credibility and trust. Customer testimonials are extremely important to help you convert. Sadly, asking your satisfied customer for reviews and testimonials is often overlooked. Remember to be proactive and ask for it through email, phone, or even better, in person. When customers can see at a glance that you have provided a successful service and have ended the pain and solved others problems…you will be well on your way to higher leads and sales. Unfortunately, when it comes to B2B, sometimes is even harder to get your client to allow you to show their name or company. That’s why you always have to get creative! Ask for a LinkedIn recommendation. Quite simple, simply go to your LinkedIn account and send a request for recommendation. You help me, I help you. Offer a testimonial in exchange of another one. Granted, this may not always be doable. Customer Surveys! Call some clients and ask 2 or 3 questions and at the end ask them what they love about working with your company. Then ask them if you can use what they said as a testimonial. Most of the time they will say yes and if that’s the case, send them an email with the written testimonial so you can get it in writing. For example, send something like: “Thank you so much for your testimonial. Per our conversation, here’s what we’ll publish: …“. Last resource. In the worst case, promise you won’t give out their name or company name. You will simply state the industry. And of course, keep your promise. When asking for testimonials, keep in mind that you always need to be proactive and ready to capture it. Open your ears and whenever you hear a compliment, that’s your opportunity! Frequently Asked Questions are a simple and critical tool to not only show you know what you’re doing but allow you to show off a little and help customers find what they are looking for. Plus FAQs can easily lead a new customer to the right page on your website that will steer them to purchase your services or product. Chat-bots are another great way of answering frequently asked questions! The purpose of adding FAQs is to minimize manage your potential customer’s expectations. In addition, you will save time answering the same questions about your opening hours, return policy, when is the best time to replace parts, etc. Answering all the “why, what, when, how” questions will reduce the sales process resulting in more clients for you. Remember that a website visitor will return to your site many times before contacting you and ultimately purchasing from you. The more you can give them to reduce that time-frame, the more sales you will increase for your business. Experts around the world in SEO and customer acquisition all agree that short forms are an essential ingredient to a successful B2B website. Simple…How many times have you went to sign up and suddenly you see a hundred forms to fill out? I know I have and what did I do? I ran or clicked away. Yes, I left the site and so will your customers. Avoid this hassle because you have worked too hard to get your customers there and you want to keep them and at the very least get their contact information for later use. All you need is to get the basic information to contact them. Like on this example below. What if you need more information than that? I get it. Make sure you have both options for your clients. 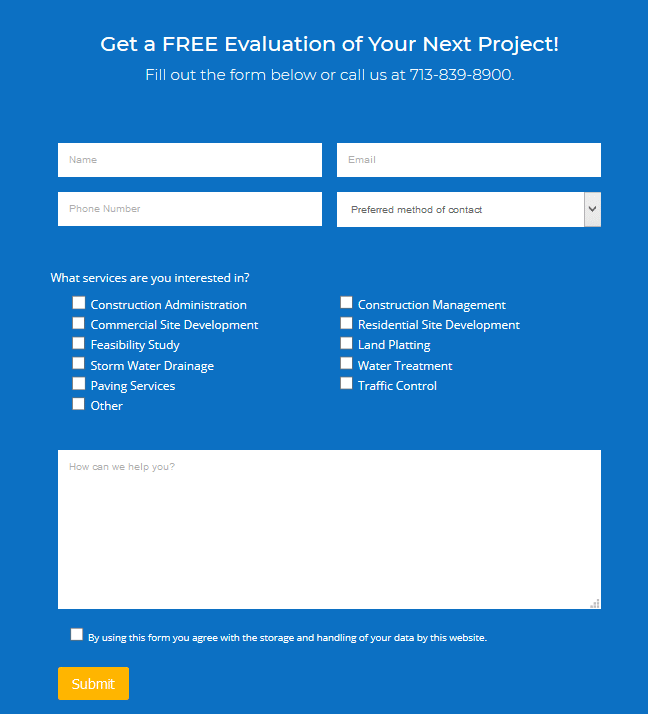 Add a “Get a Free Evaluation” button that takes them to a form like the one below. Your are still keeping it short, but now you get to ask a bit more questions. Having short forms allows your visitors to not have to think too much to provide the information. At the end, remember you offer a B2B product or service. Unless you have an eCommerce website, it’s very likely that the quote for your product or service will need to be personalized to your prospect’s needs. Get them there and TAKE AN ACTION. Be that to call you, request a quote, or book a consultation. If you are not getting leads from your website, then go through this list and start making changes now! The key elements are Awesome!